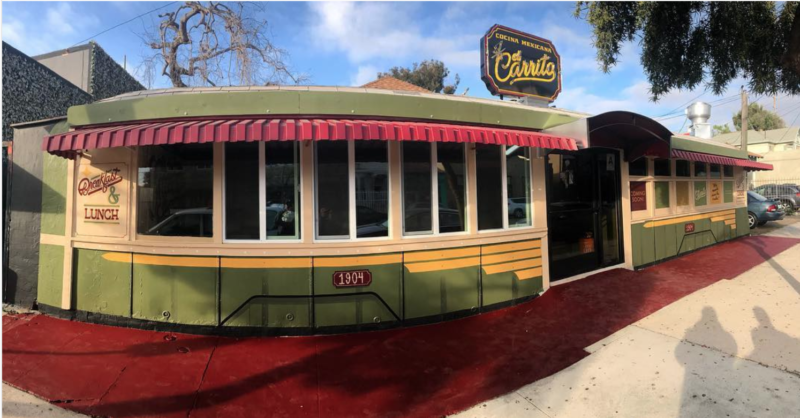 The historic restaurant housed in an old trolley car on Logan Avenue has been closed for nearly a year. But on Friday, it will reopen with a revamped look and menu. In the 1930s, the colorful streetcar carried passengers up and down Logan Avenue as part of the San Diego Electric Railway system. It was was retired in 1940, then relocated to its current home in Barrio Logan on Feb. 1, 1947, according to the “San Diego Trolleys” book by Douglas W. Mengers. It’s been the El Carrito restaurant ever since, although different people have owned it. 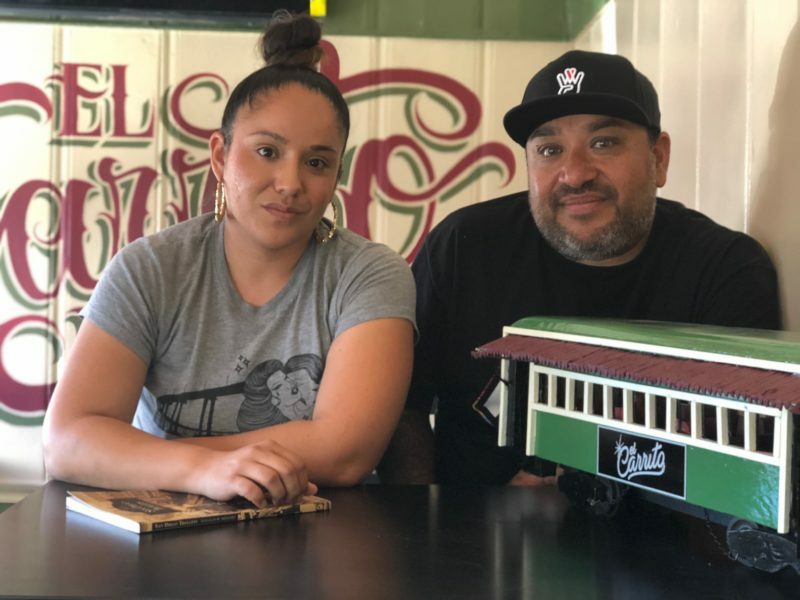 The Chicano Park Museum website details the history of El Carrito, describing it “not just a restaurant” but as an important community meeting space for neighborhood politicians, business owners and artists. “Hearing the backstory of this place really motivated us,” said Carolina Santana. Santana and Milo Lorenzana are the new owners behind the historic restaurant. Santana’s parents, Sandra and Luis, are also partners on the project. Santana and Lorenzana are the same team behind the Por Vida coffee shop next door to El Carrito. Both have been major players in the grassroots renaissance happening along Logan Avenue in Barrio Logan. Por Vida, for example, has become a community hub that hosts events and showcases local art and crafts. Santana and Lorenzana are reviving many of the traditional Mexican dishes that have long been served at El Carrito. They said neighbors who walk by and see them working on the streetcar always share their memories of the place and ask about specific dishes, like the chilaquiles, a plate filled with fried tortillas smothered in green or red sauce and cheese. They said they’ll be serving five different types of chilaquiles, including an avocado-based version with homemade chile verde sauce and a creamy chile poblano option. For now, El Carrito will just be opening for breakfast and lunch. 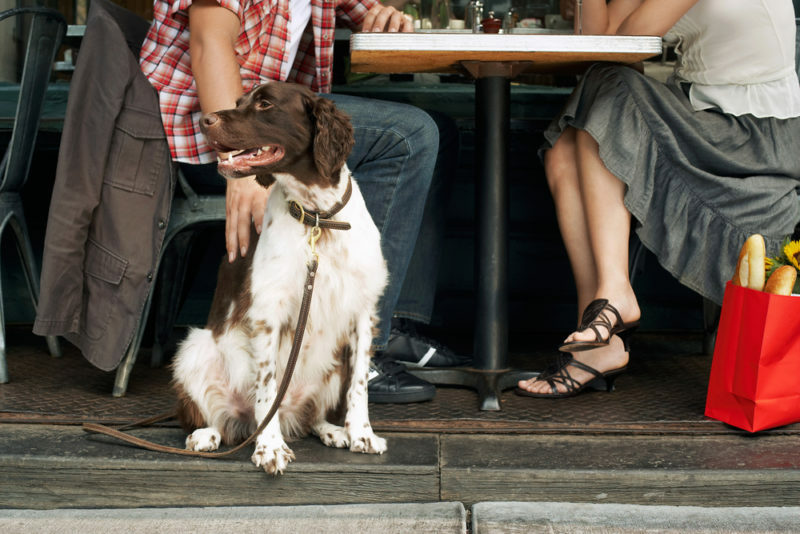 In the future, though, they want to expand to dinner and open a to-go window, since the restaurant itself has room for just a handful of people at a time (they will be opening outdoor sidewalk seating to help serve more customers). Lorenzana said nearby residents told them they have high hopes for El Carrito’s revival. He said they hope to deliver. 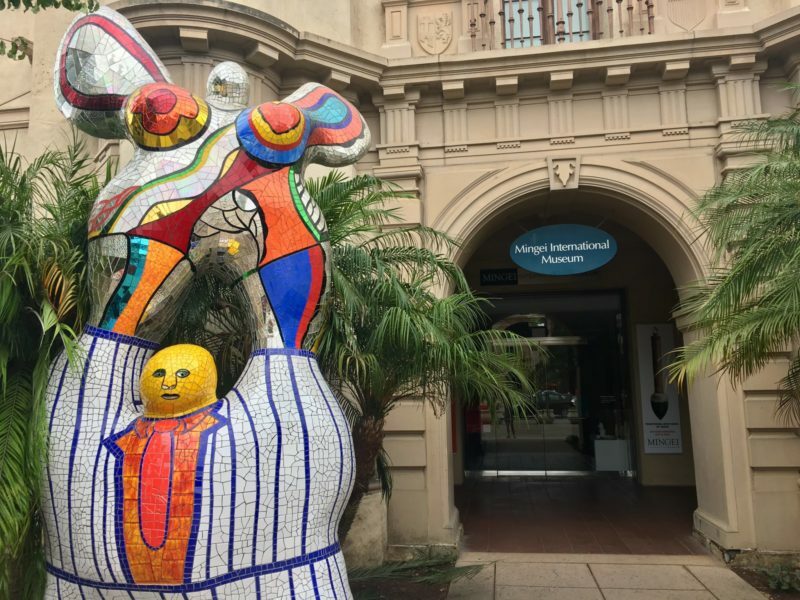 • Balboa Park’s Mingei International Museum will open a touring exhibition featuring works by William L. Hawkins on June 9. The show will be up through Aug. 26, and it marks the last exhibition in its space before the museum closes for a yearlong major renovation. A museum spokeswoman said the museum will continue to host exhibitions and events “offsite at several locations throughout the county (and even across the border) with exhibitions, events and programs during the museum closure.” For more on the renovation, read this or listen to this podcast with the architect who’s working on the project. • The Union-Tribune did a Q-and-A with Oceanside artist Carrie Minikel. Minikel’s solo show, “Curious Objects,” is on view at Art Produce Gallery in North Park through July 14. • San Diego’s LGBTQ film festival FilmOut San Diego is celebrating its 20th anniversary in June. KPBS’s Beth Accomando used the occasion to check in with FilmOut’s founder and programmer about the state of LGBTQ cinema. • If you’re still trying to figure out what to do with your kids this summer, local arts museums and organizations have dozens of camps from which to choose. The Oceanside Museum of Art, Lux Art Institute and the Museum of Contemporary Art San Diego are just a few of the arts orgs offering summer camps for kids. • Over the last decade, much has been written about Tijuana’s renaissance, especially when it comes to its food, craft beer and wine. On Friday, the San Diego Architectural Foundation is offering a tour of the cool new things happening in the border city. • On Tuesday, six local museums announced their participation in the “Museums for All” program that provides free or deeply discounted admission for low-income families. Participating organizations are the San Diego Natural History Museum, the Museum of Contemporary Art San Diego, the Museum of Making Music, The New Children’s Museum, the San Diego Children’s Discovery Museum and the San Diego History Center. • Tuesday, June 9, VOSD Podcast Network show Cura Caos is hosting a live event and podcast interview with Victor Clark-Alfaro, the founder of Tijuana’s Binational Center for Human Rights who’s long studied human trafficking across the border. • The judges of the Museum of Contemporary Art San Diego’s annual “25 and Under Contest” have selected the top 25 artists. Y’all can vote for your favorite piece by liking the image of the work you want to win. Winners will be announced Sunday. 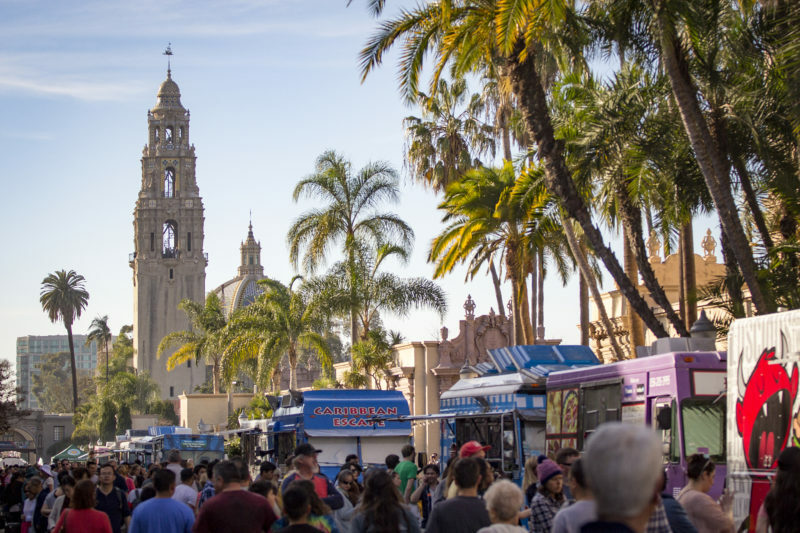 • On Friday from 4 to 8 p.m., Balboa Park’s Food Truck Fridays event kicks off and will continue weekly through the end of September. The earlier you show up, the shorter the lines. The event has become a summertime tradition for my fam. Many of the museums stay open late and, this Friday, there will be free musical performances, too. • On Saturday, Adams Avenue from Normal Heights to Kensington will be filled with visual art and musical performances for the annual Art Around Adams festival. • Watching movies on the roof of a hotel in downtown San Diego sounds fun. • Here’s the beer and water-related story behind a chalk art piece that popped up recently in Little Italy. • The annual Beer & Sake Festival is happening Friday. • The Union-Tribune rounded up the best burgers, region-by-region, and listed them alphabetically by neighborhood. • The San Diego Chinese Historical Museum is hosting Mike Chen of the “Strictly Dumpling” YouTube channel this week for a lunchtime noodle competition. • Coronado Brewing just released the second beer in its Coronado Art Series, which features custom beer label art by local artists. Correction: An earlier version of this post mischaracterized El Carrito. It’s an old trolley car.